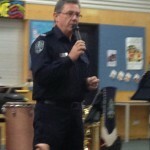 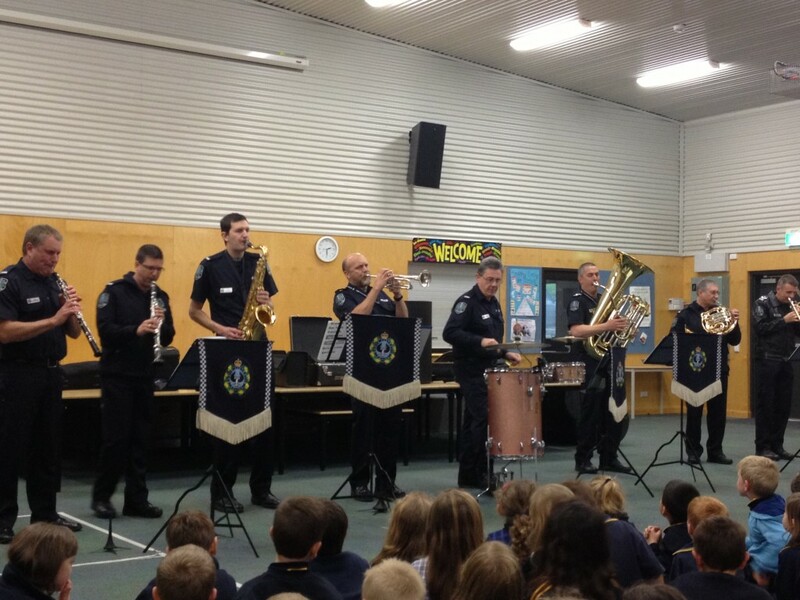 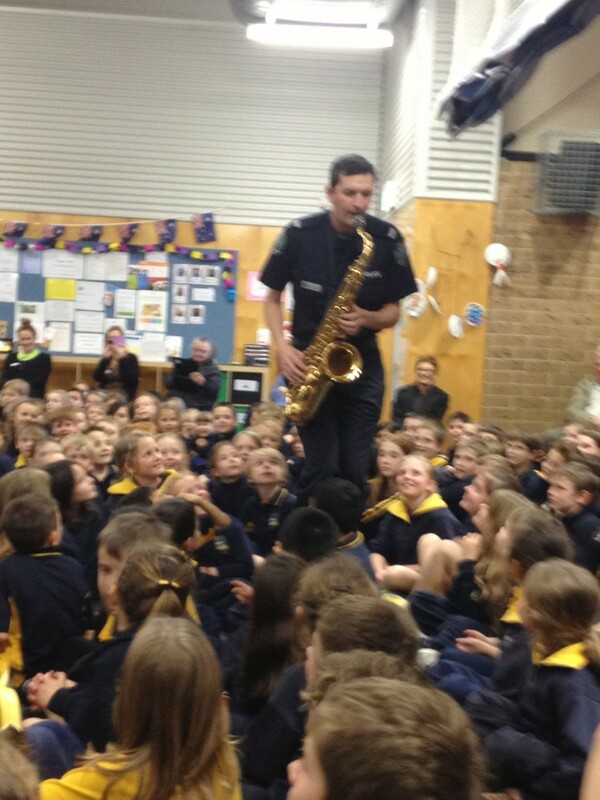 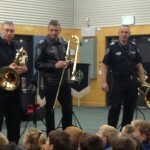 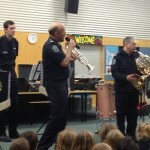 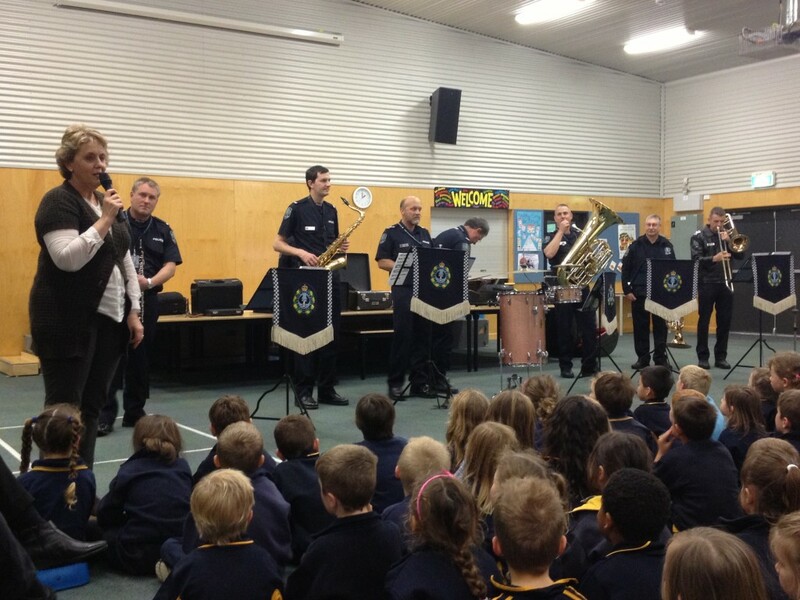 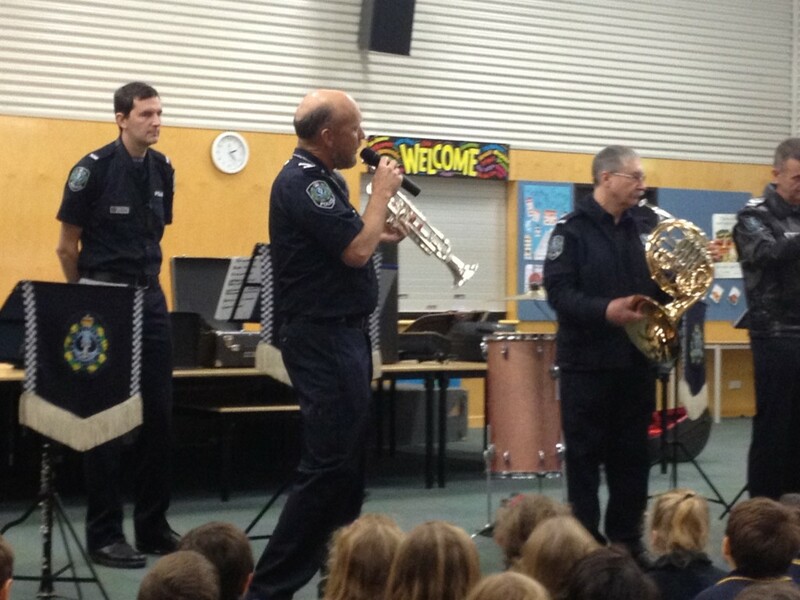 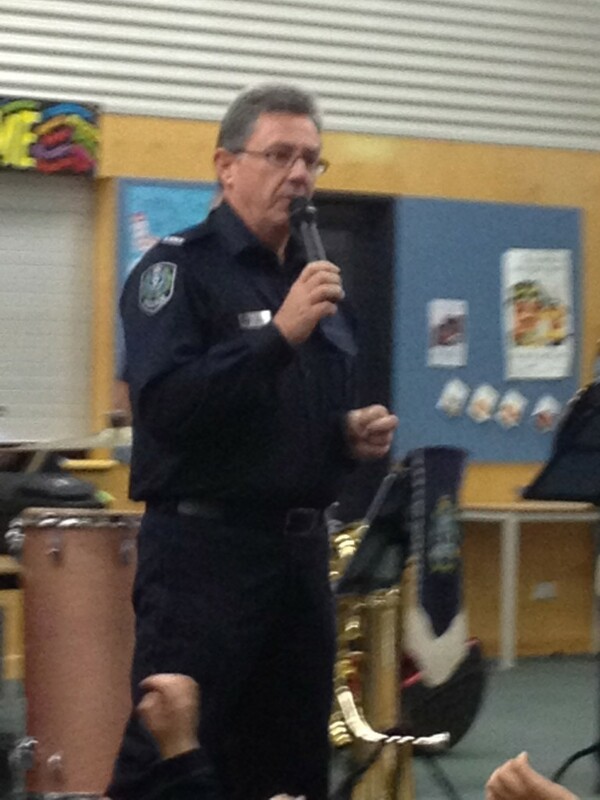 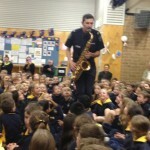 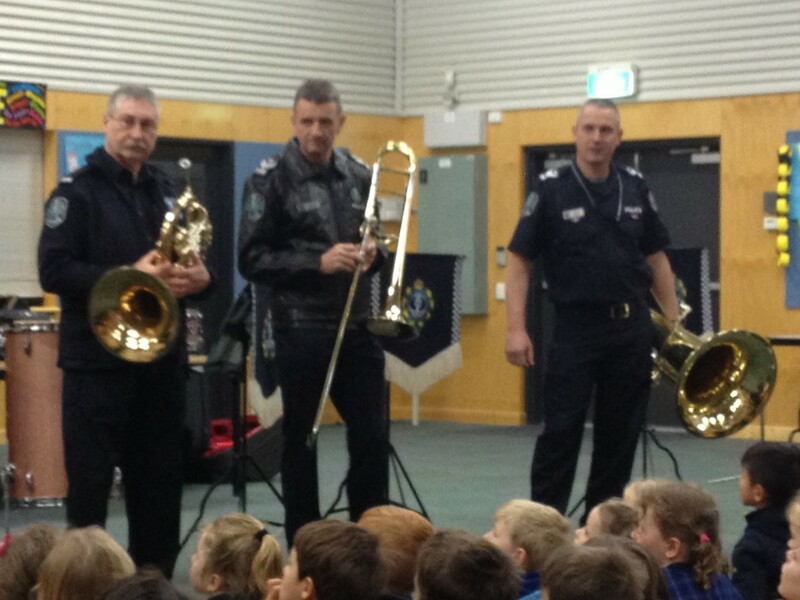 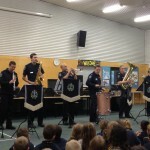 This afternoon we watched the SA Police Band perform for our whole school. 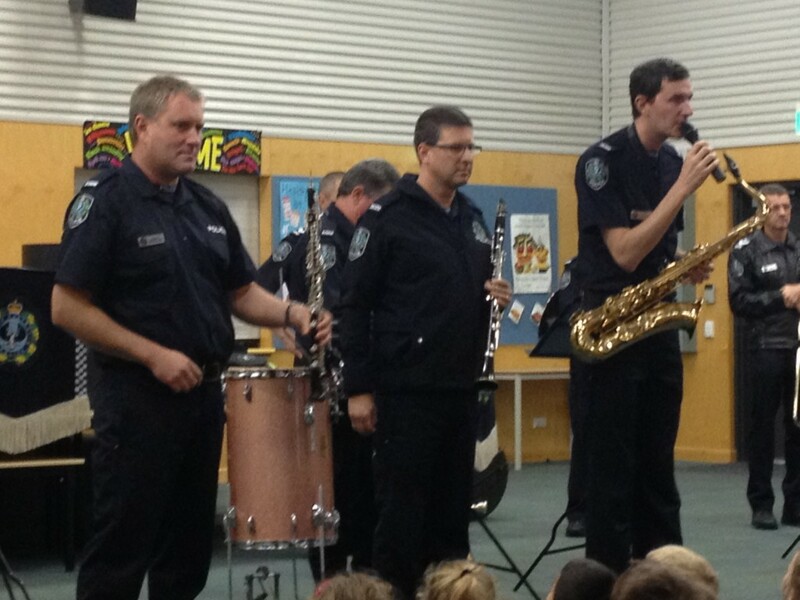 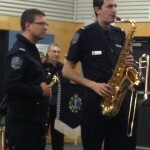 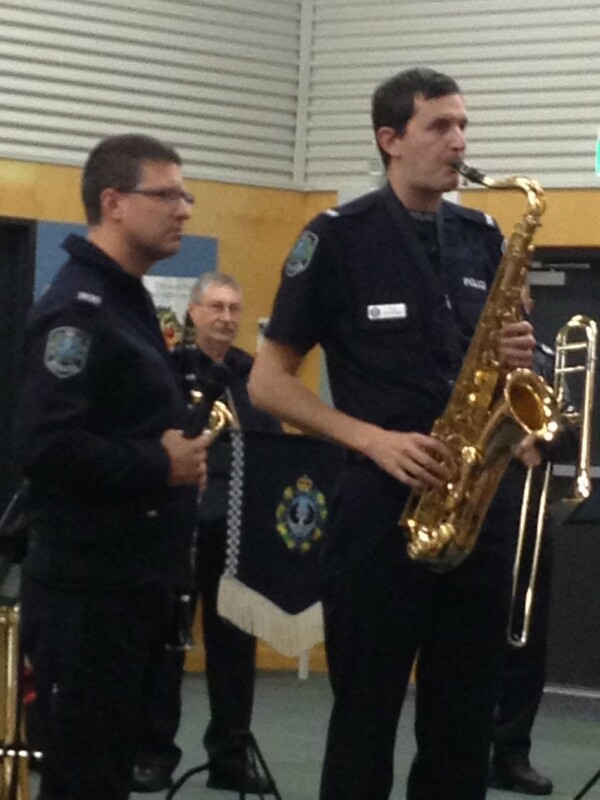 Nine police officers played different musical instruments and talked to us about staying safe in our community. 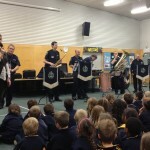 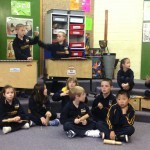 Their instruments were either percussion (drums), woodwind or brass. 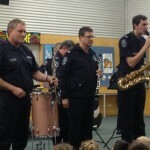 They played lots of different songs we knew, especially songs for TV shows or children’s movies. 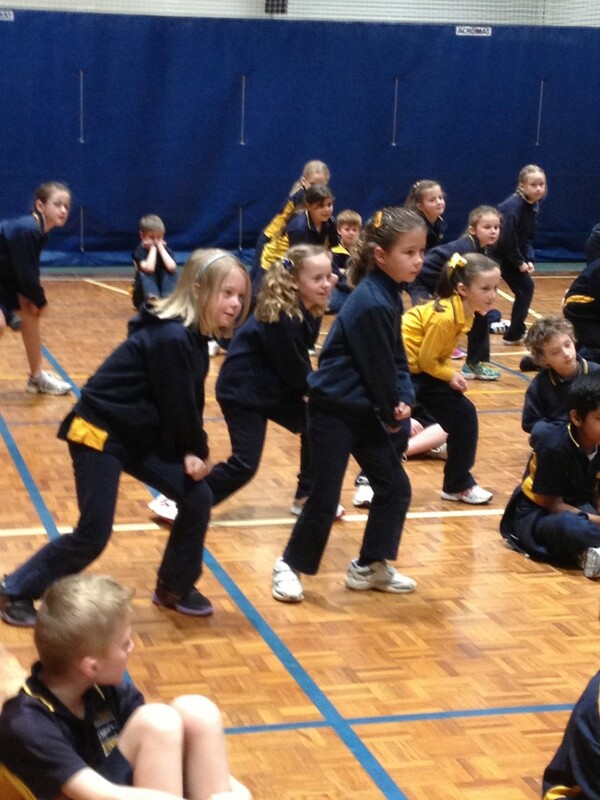 Today we started our Footsteps dance programme. 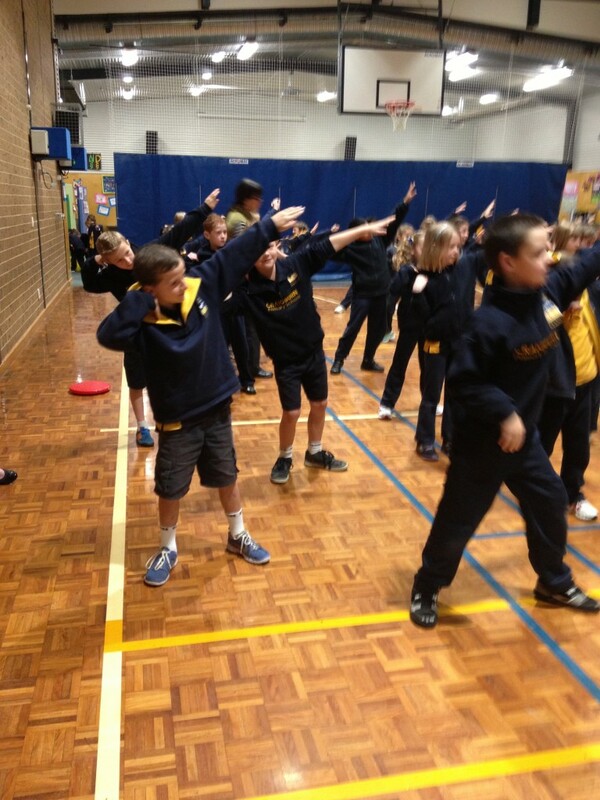 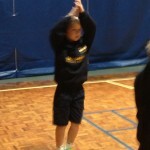 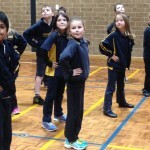 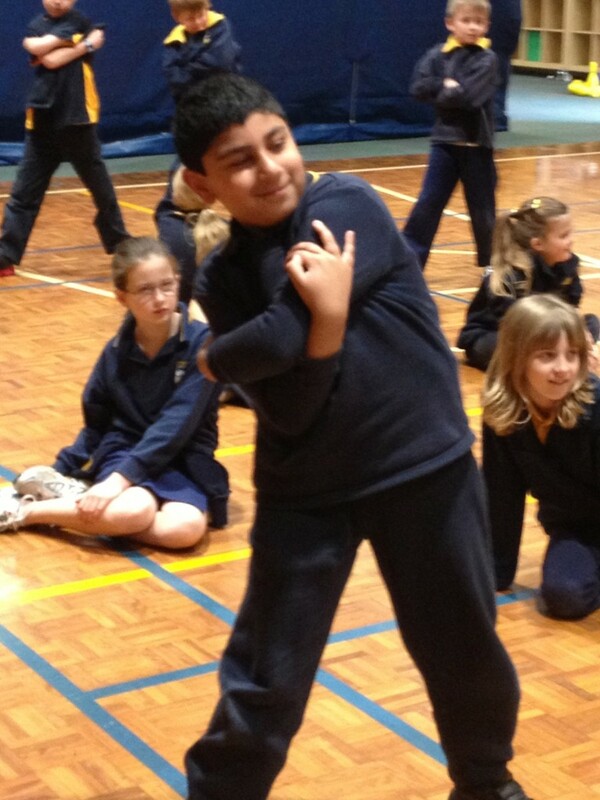 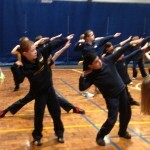 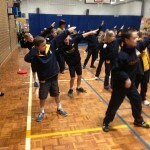 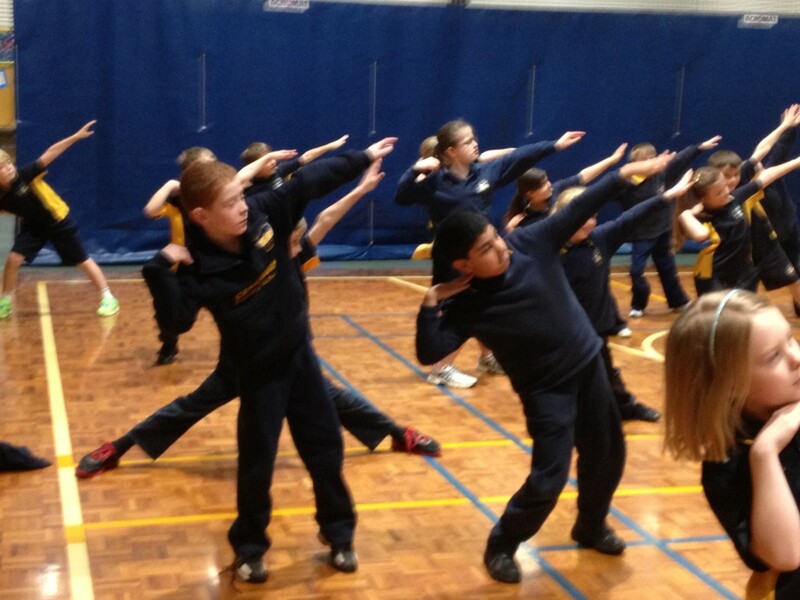 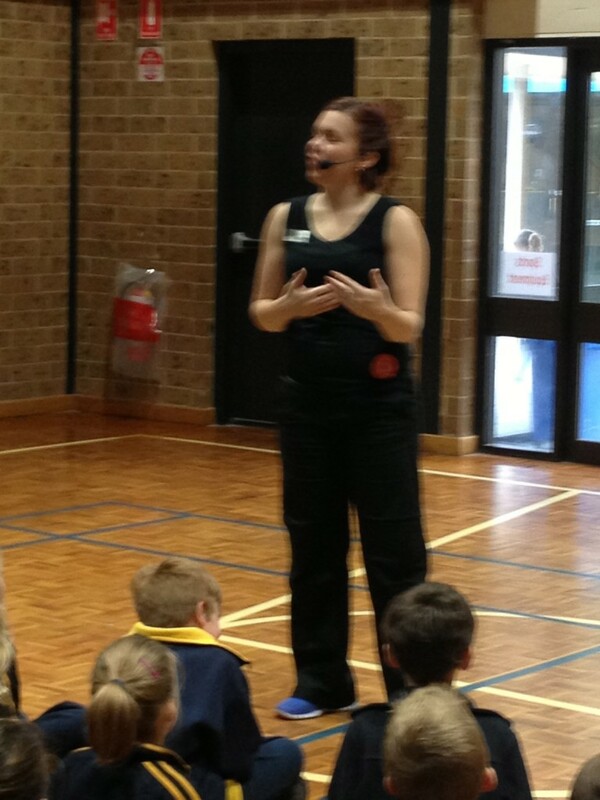 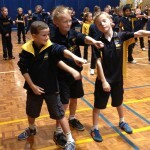 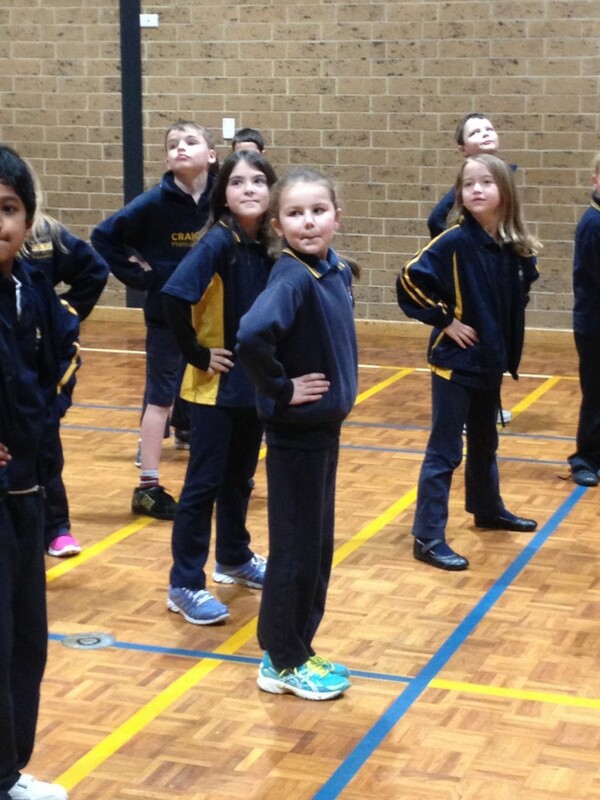 Our dance teacher taught us lots about the dances we’re going to be doing – both individual and partner dances. 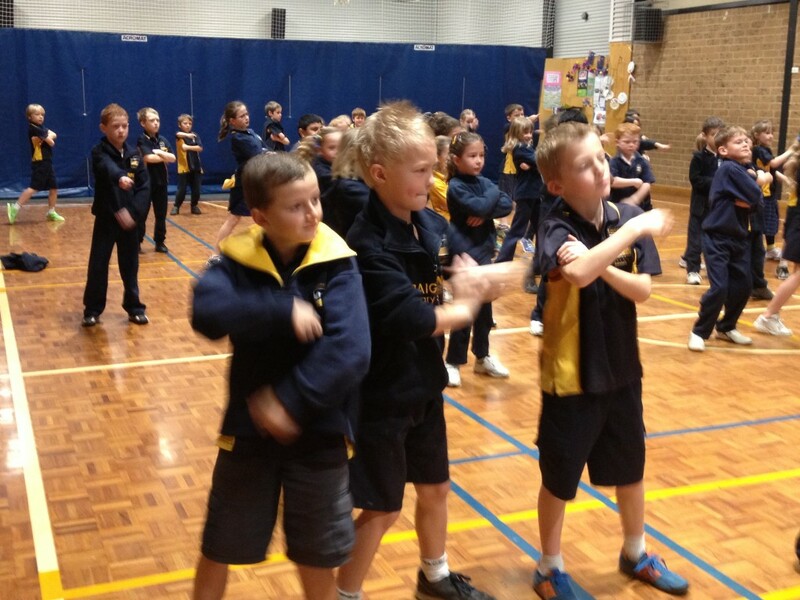 Today we learnt Push It To The Limit, which was an individual dance. 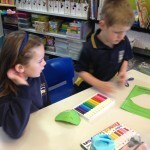 There were lots of different steps to learn but we had a great time learning all of them. 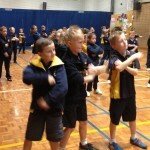 We did a great job learning it. 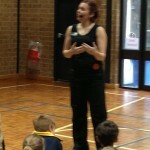 Here’s some photos from our first session today. 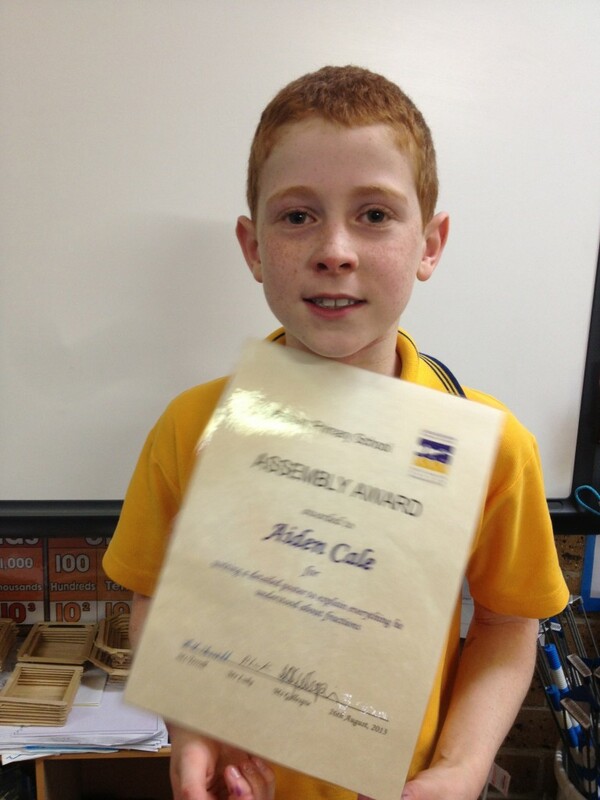 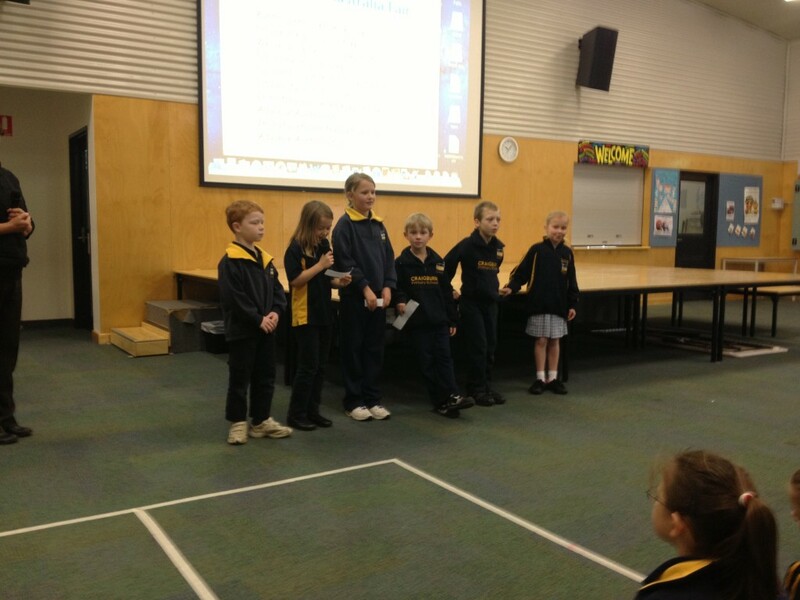 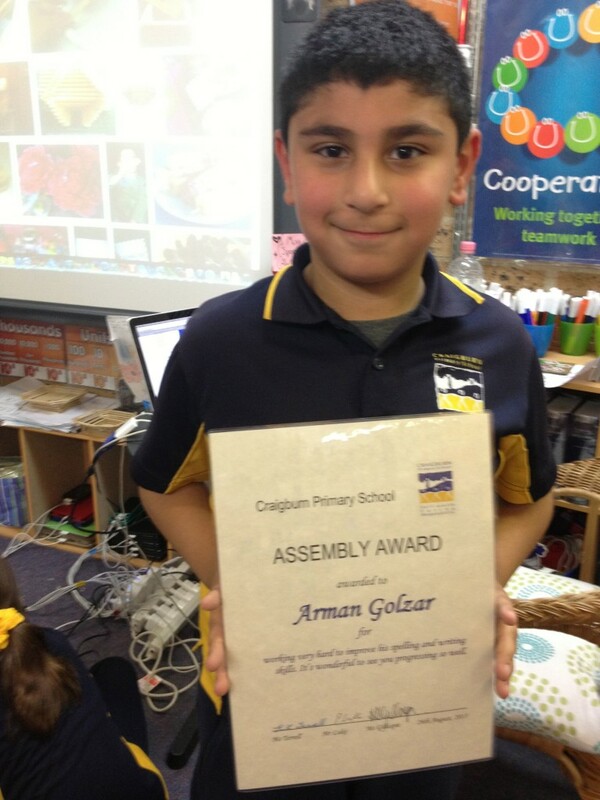 Today our class attended the Year 2-4 assembly. 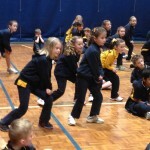 Mrs Chick’s class did a wonderful job hosting the assembly and we really enjoyed seeing the other classes sharing their learning. 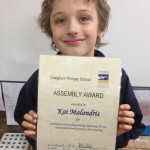 Congratulations to these students for receiving awards for achieving so well in their learning and having such a wonderful attitude towards their learning. 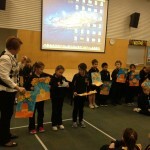 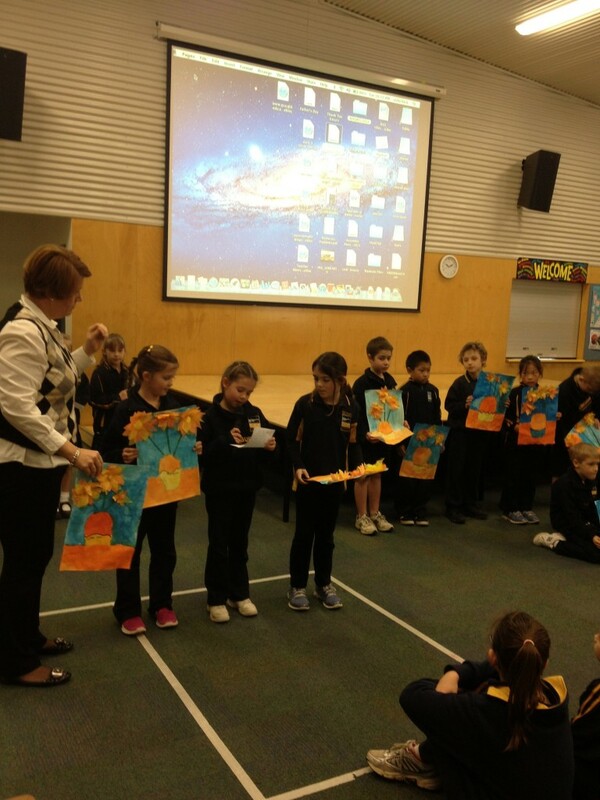 We shared our Van Gough Sunflower paintings and Holly, Jaime and Tara did a very brave job introducing our class item. 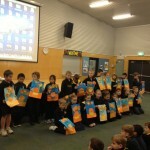 Here’s our photos from today’s assembly. 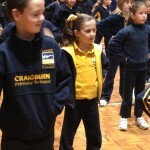 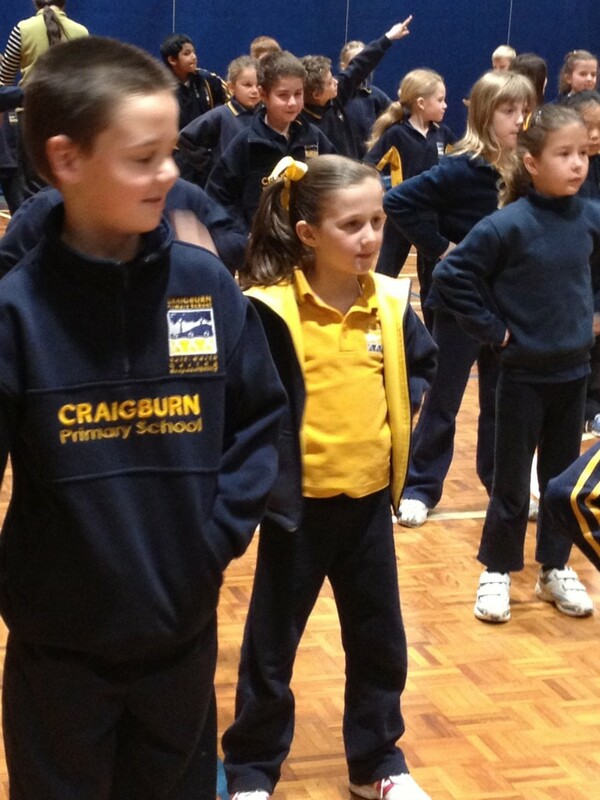 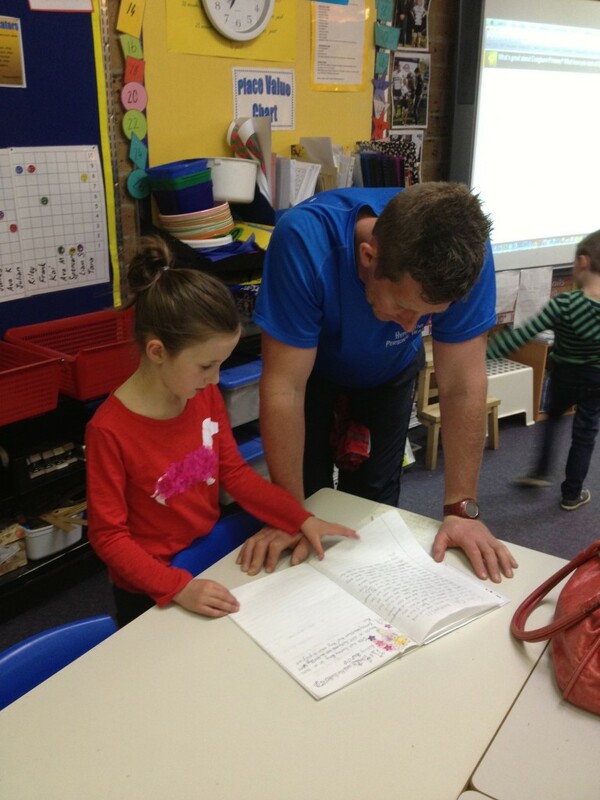 Tonight we held our annual Open Night at Craigburn Primary School. 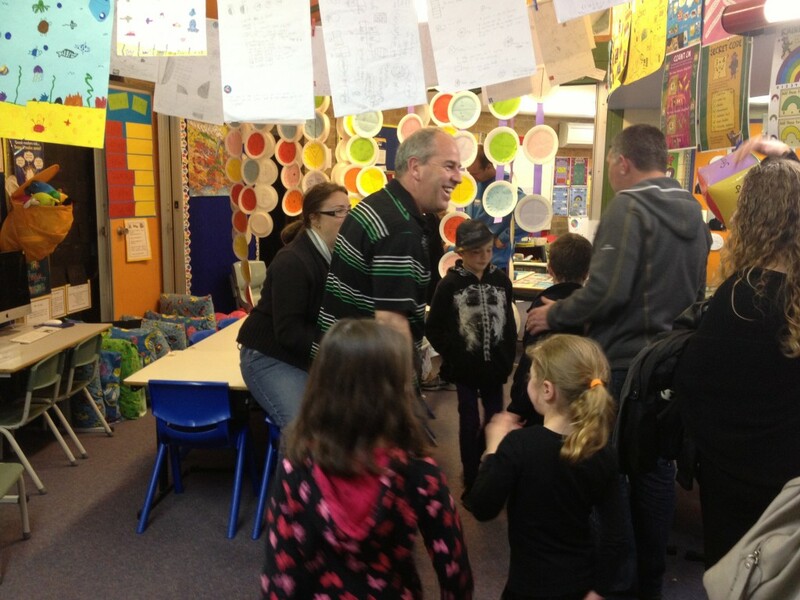 It’s a brilliant opportunity for our families and friends to visit our school and tour through all classrooms and learning spaces. 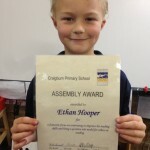 Our class had lots of learning on display – our structures brochures, the picture books we’ve made, apps showing our learning on iPads and iPods, problem solving tasks using the problem solving skills we’ve been practising, our iMovie trailers (in the gym) and so much more. 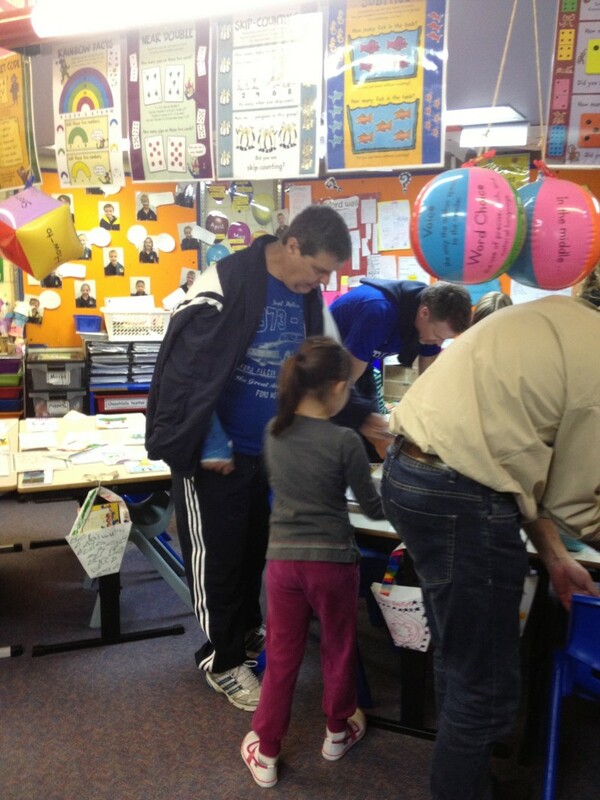 The students in our class were asked to take their parents, carers and families on tours through the whole school. 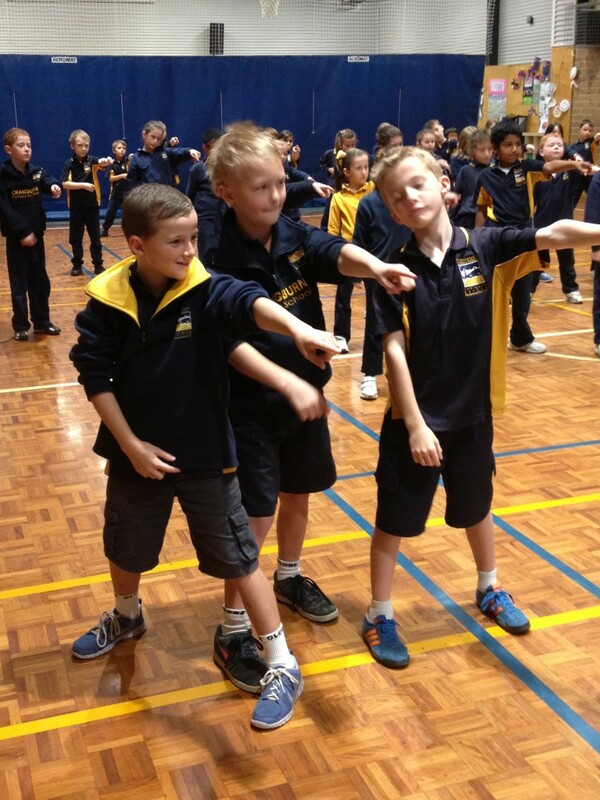 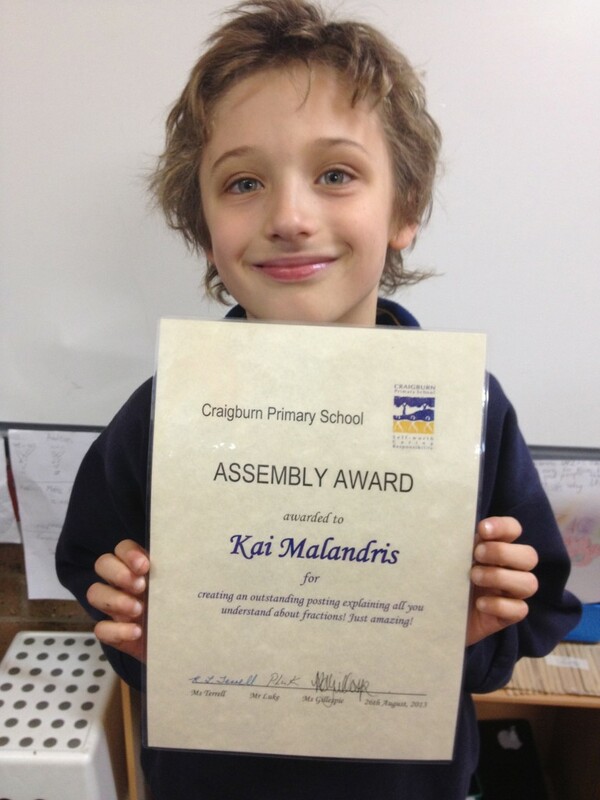 It’s a wonderful way to see what’s happening in our whole school – from Reception to Year 7. 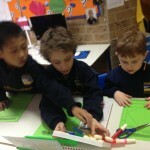 We created a Padlet and displayed it on our interactive whiteboard and asked visitors to our room to post comments. 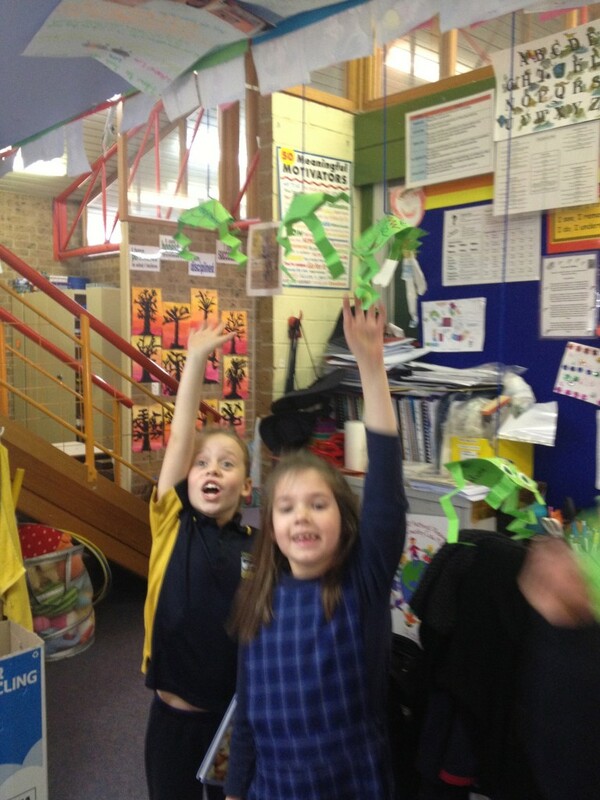 Here’s our Padlet from tonight. 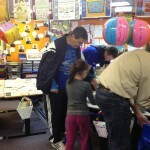 It was fantastic to chat with students from our class and their families. 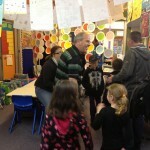 It’s also lovely to catch up with past students as they tour through. 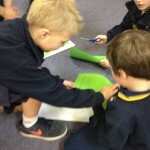 The students in our class did a wonderful job showing their learning and explaining lots of things to their families – it was great to see them being such excellent leaders. 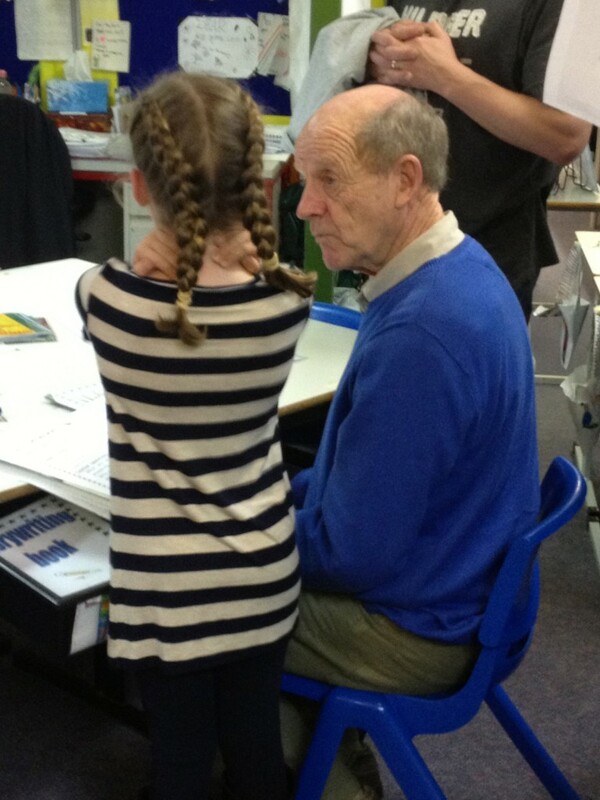 Here’s some photos of our visitors tonight. 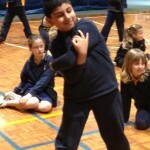 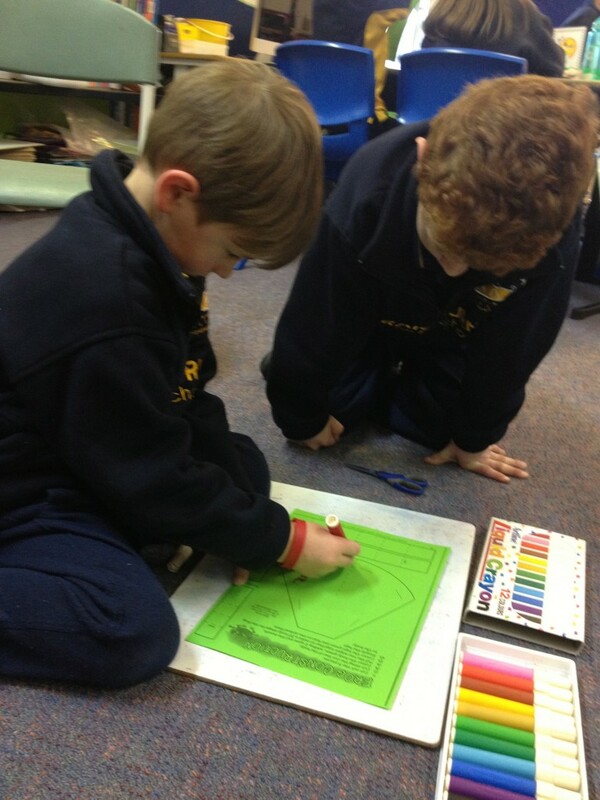 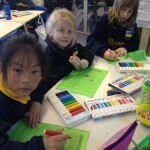 Last week we did a variety of activities to celebrate Bookweek. 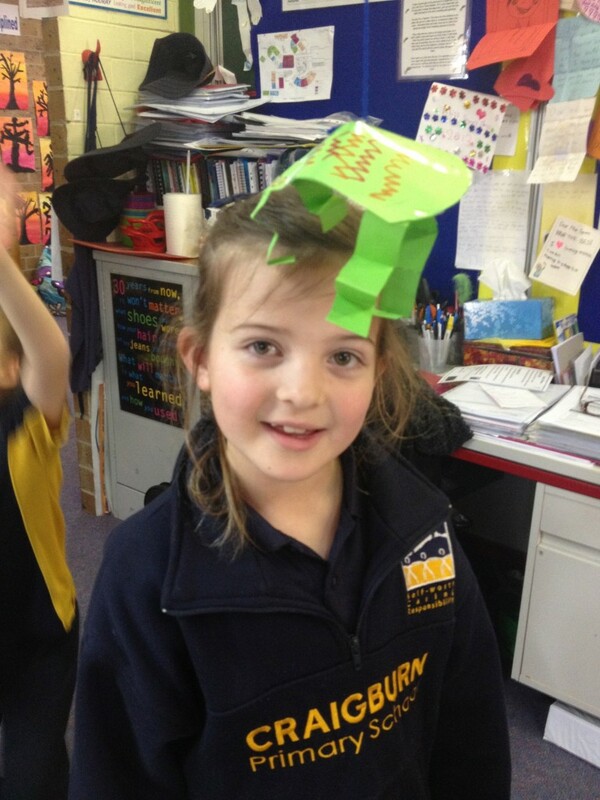 We did lots of reading of the Bookweek books, reading activities in our class each day, book making of our own and the most fun activity was the dress up day on Friday. 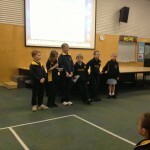 All of the R-3 students were invited to come dressed as their favourite book character. 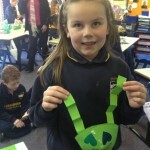 We had some incredibly creative costumes arrive in the morning – lots of Princess, Sleeping Beauty, Minecraft characters, Big Nate, the Cat in the Hat, a nurse, Batman and many many more. 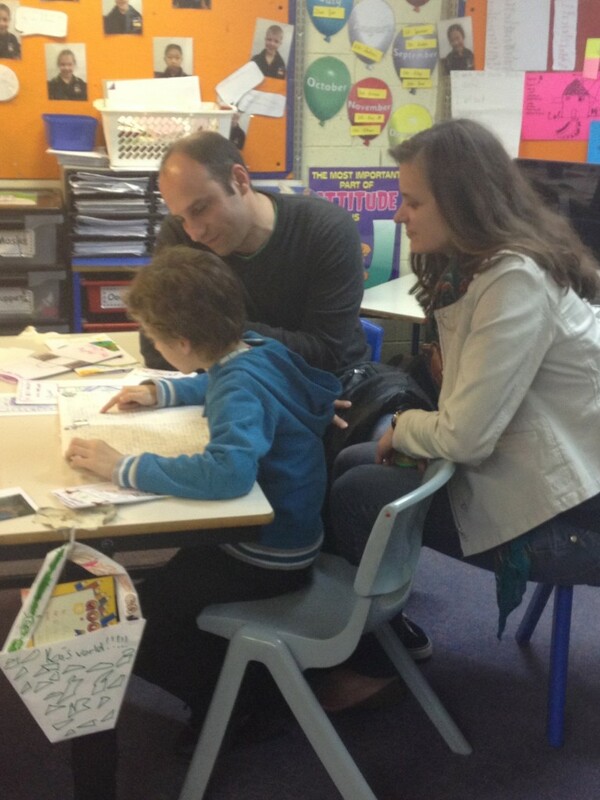 We’d like to say a huge thank you to our parents and caregivers who helped each of the students with their costumes. 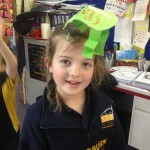 After lunch on Friday the children acted out their book characters – we loved watching the presentations! 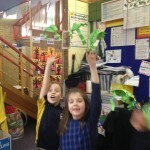 Here’s some photos of our week. 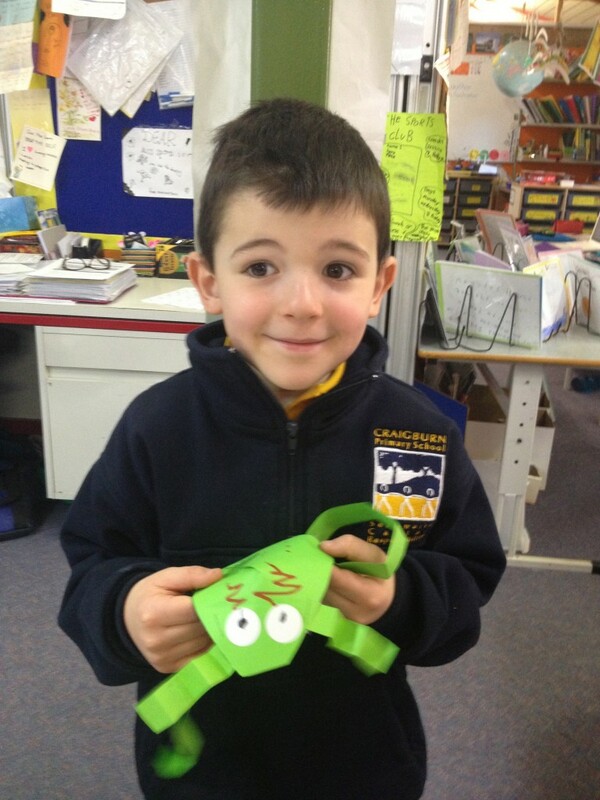 What was your favourite part of Bookweek? 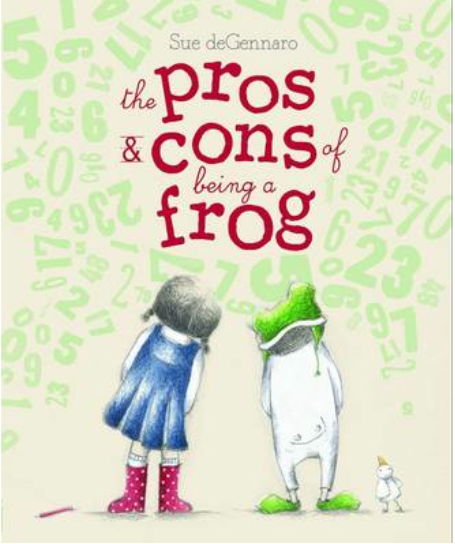 As a lead up to Bookweek celebrations we read The Pros and Cons of being a Frog by Sue deGennaro. 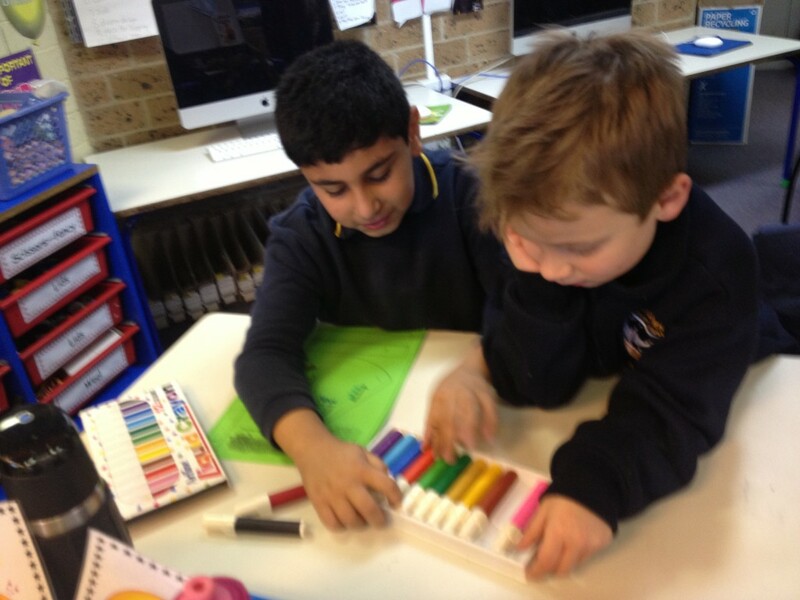 We really enjoyed the story – it talked about being good friends, accepting people’s differences, how friends understand each other and respect their differences and we thought the illustrations really added lots of detail to the story. 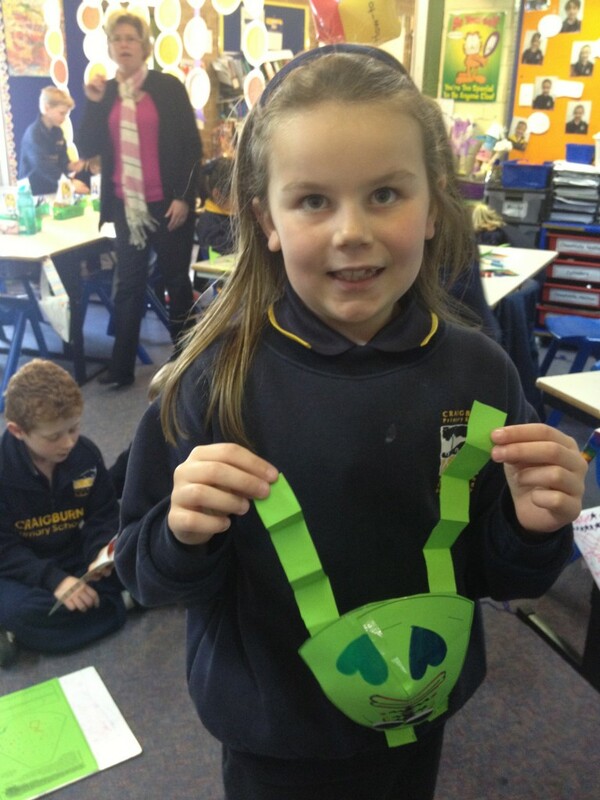 Then we made our own frogs with our mini buddies. 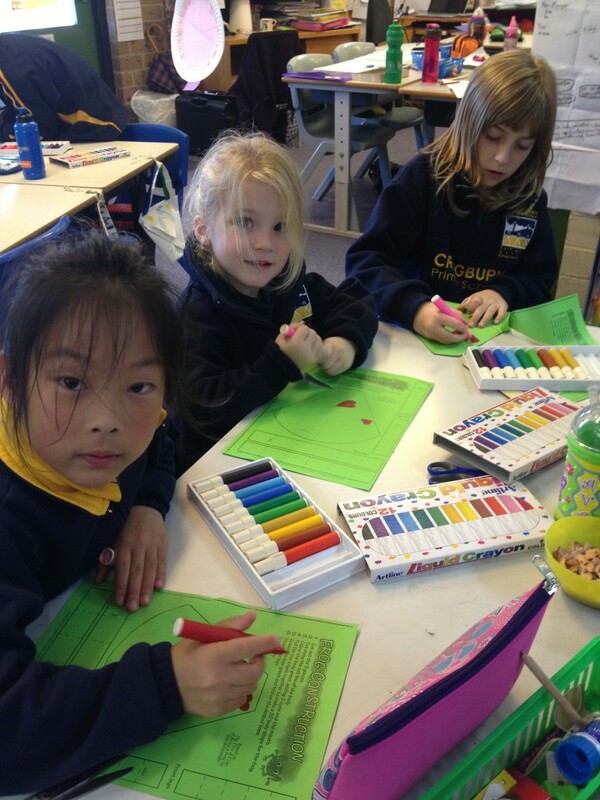 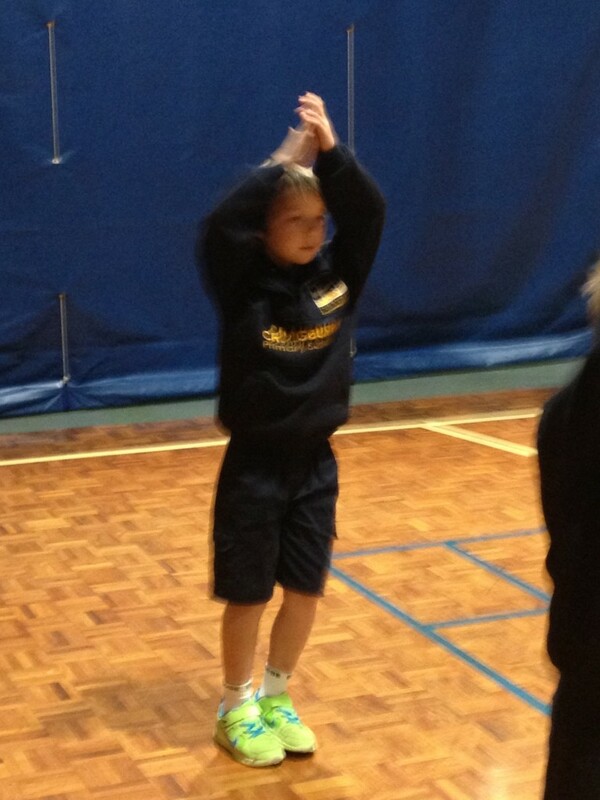 We love working with our mini buddies. 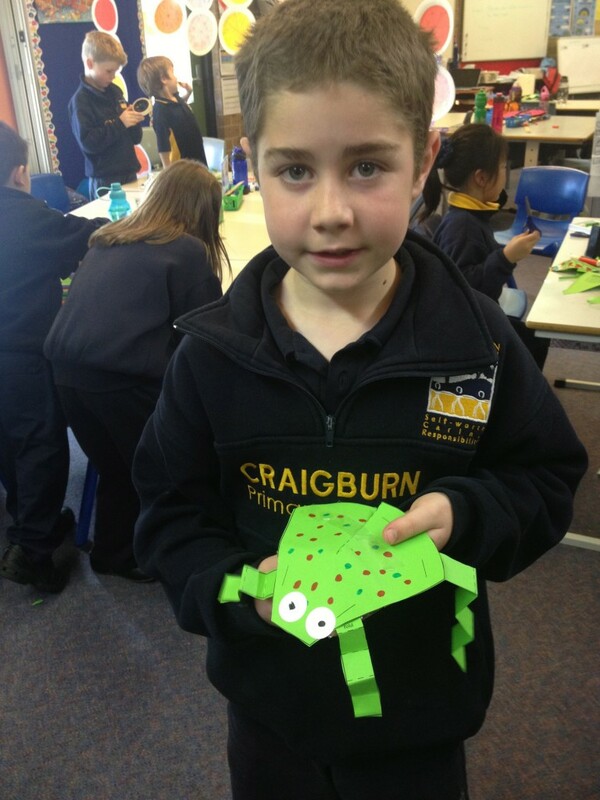 We helped them with cutting, sticking legs on, folding a concertina fold and adding eyes. 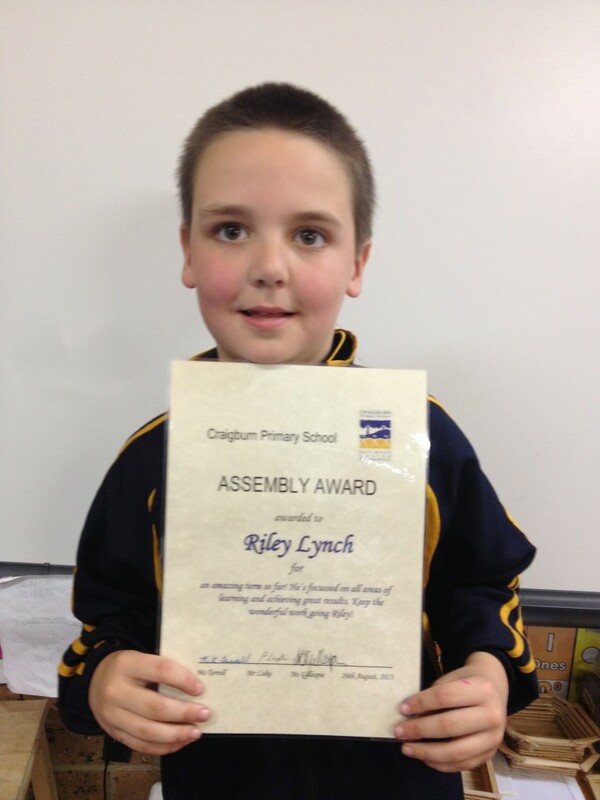 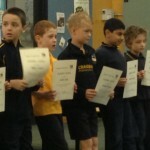 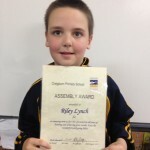 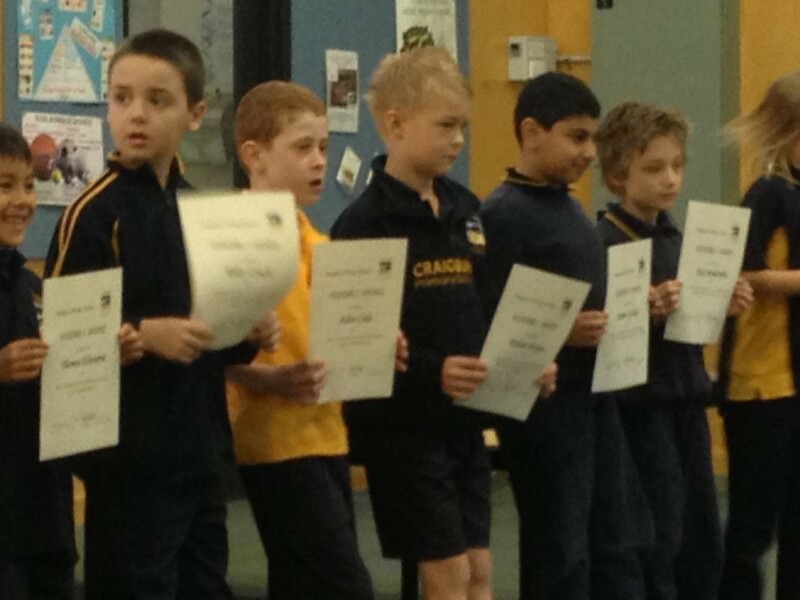 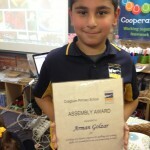 It’s wonderful to see the children in our Year 2/3 class being such positive leaders. 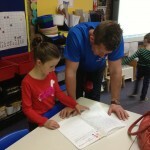 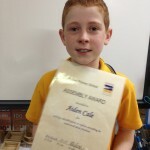 They show a very kind and caring approach towards the younger children and really love to help them in their learning. 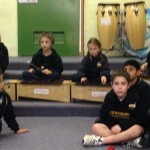 Here’s some photos of our very busy session. 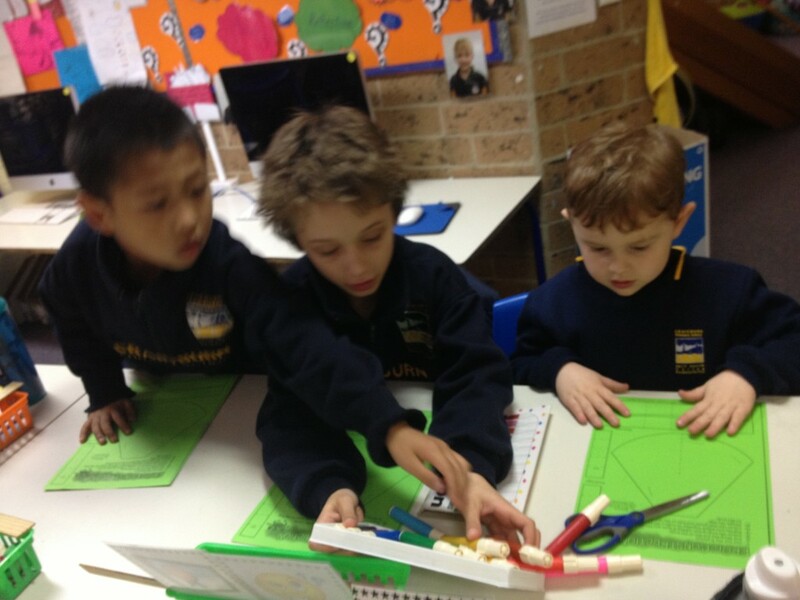 As a part of our latest inquiry unit we are learning all the different ways stories can be told. 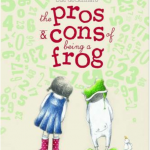 We kicked off our inquiry by bringing in our favourite picture book to share with a small group. 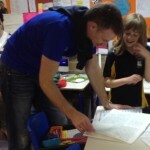 asking what people understood from the story – checking for understanding. 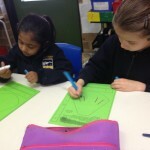 We’ve been learning about these reading skills through our Daily 5 work. 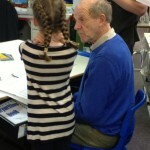 We had a huge variety of books brought in – it’s always interesting to see what kinds of books are interested in sharing. 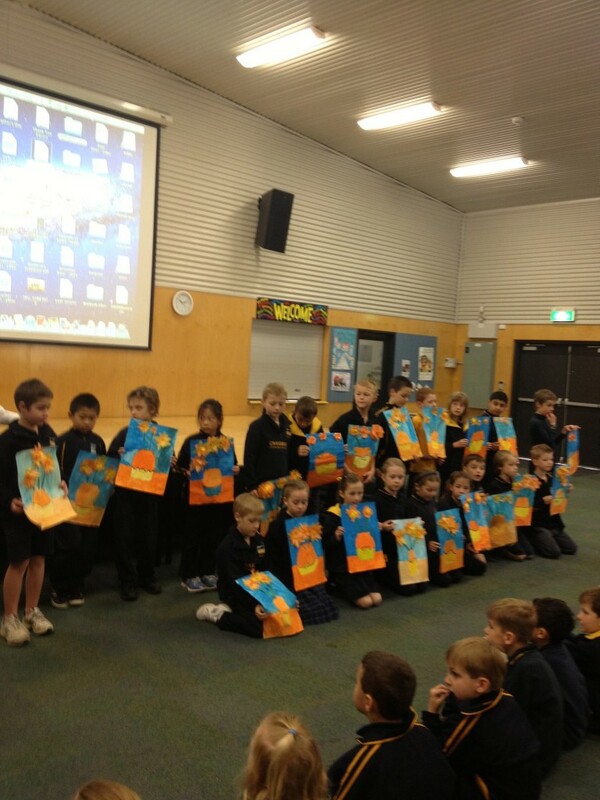 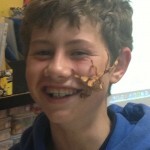 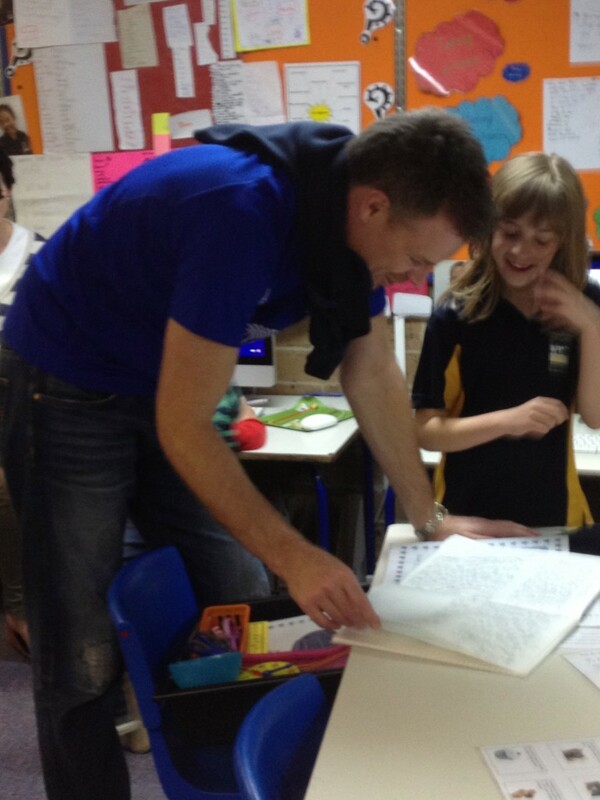 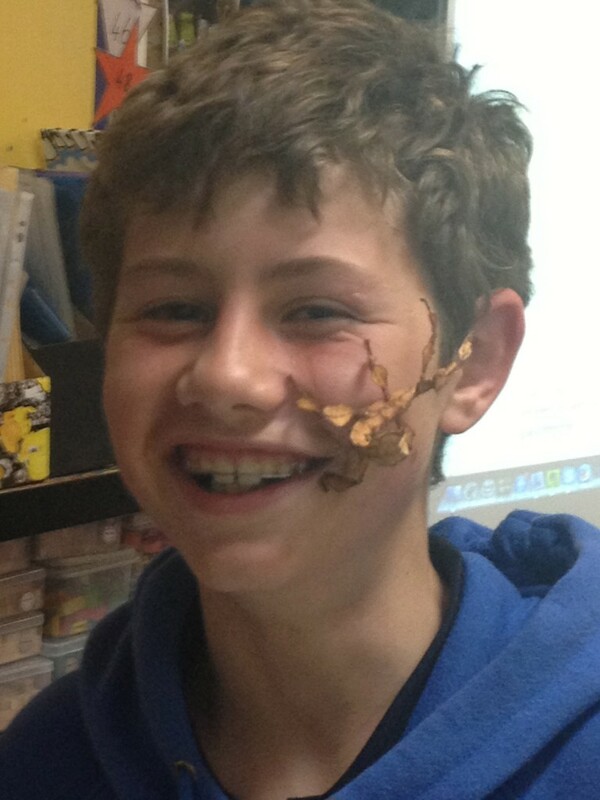 This was also a great way to prepare for Bookweek, which is this week. 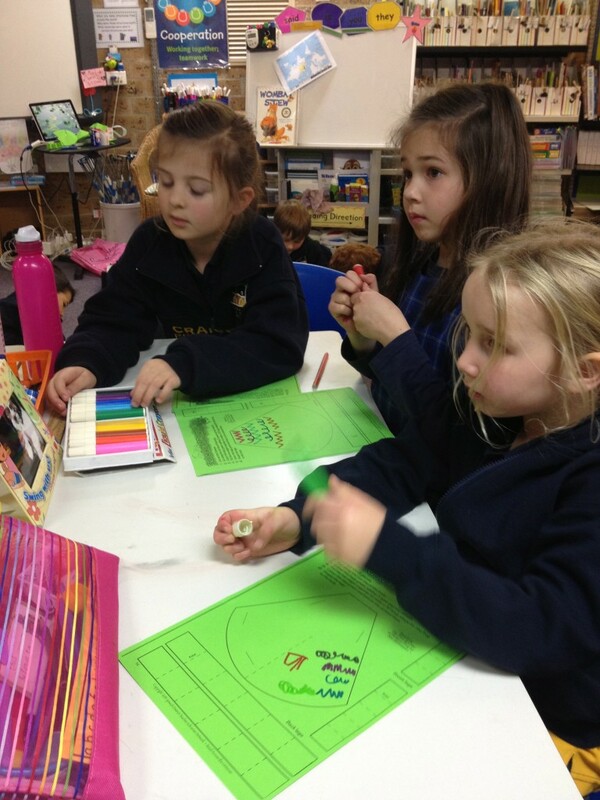 There’s lots to see and do in our Library with Mrs Langham. 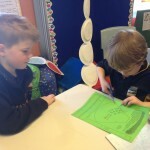 Here are photos from our Sharing time reading activity last week. 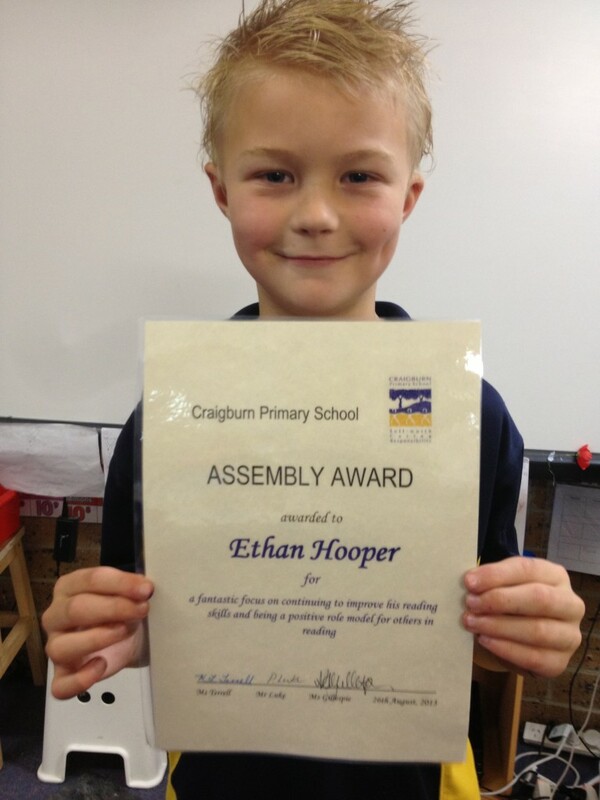 What books can you recommend to us – we love to hear about new books to read. 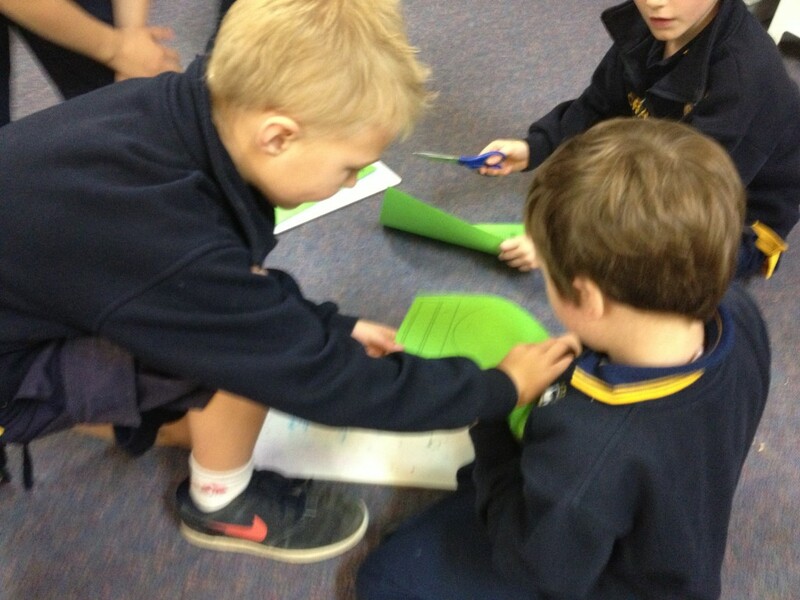 We are having a major focus on improving our use of conjunctions in our writing. 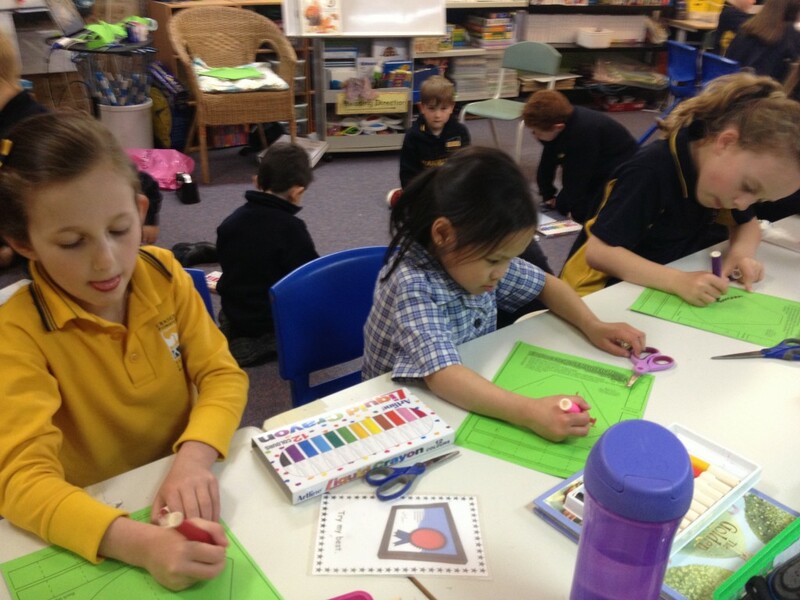 We are aiming to improve our writing skills so that we use many more interesting ways to join sentences. 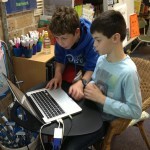 Here are some websites to help practise our use of conjunctions. 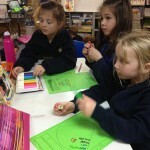 Have fun playing these games and I look forward to you using the new conjunctions in your daily writing activities. 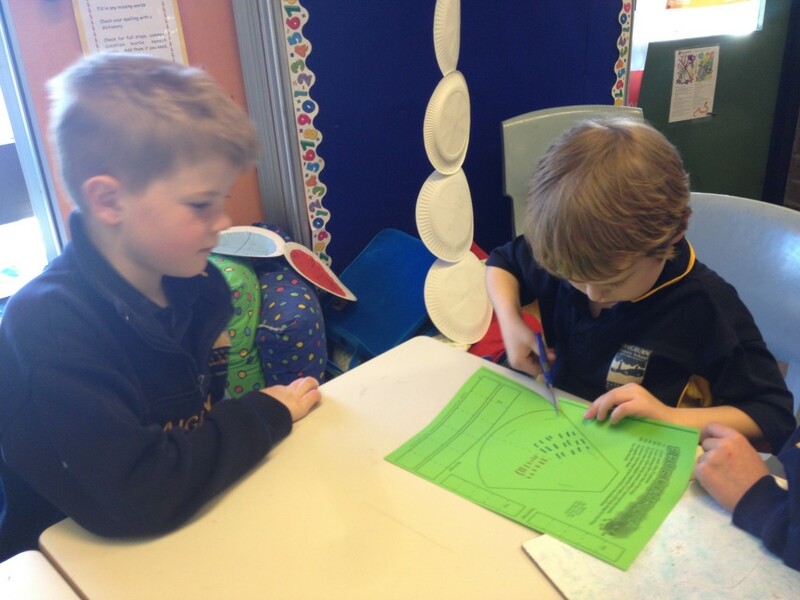 recognising times that are important to us. 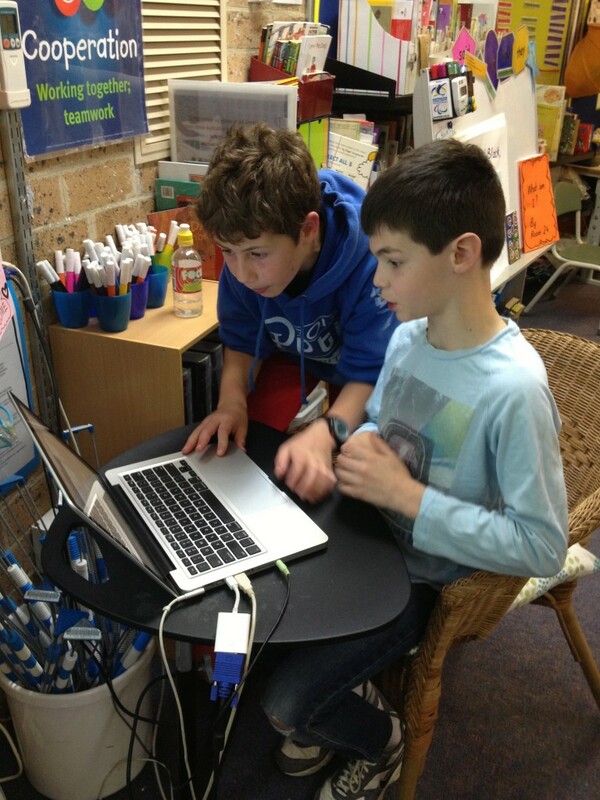 We are going to be using the following sites to support our learning. 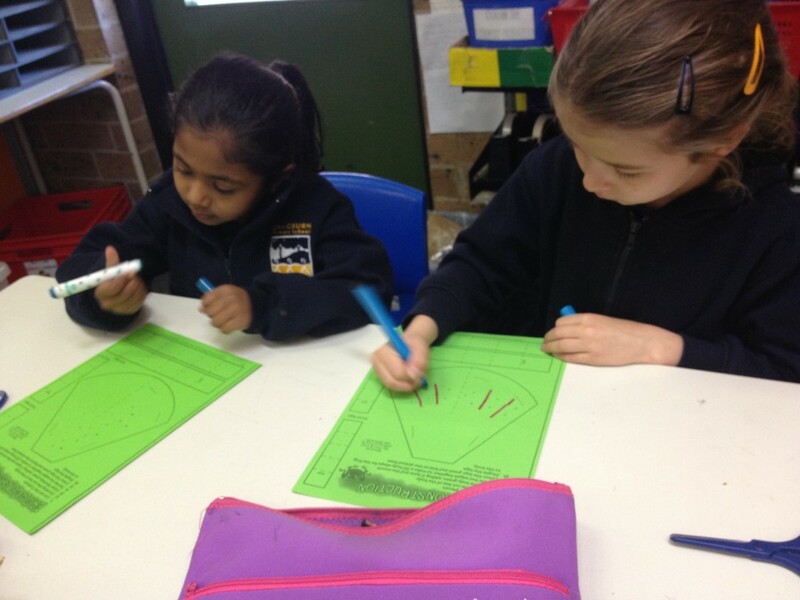 Matching analogue and digital times on the clocks. 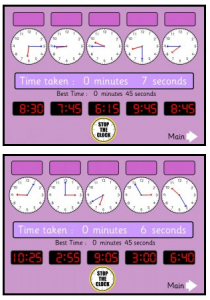 – Stop the Clock. 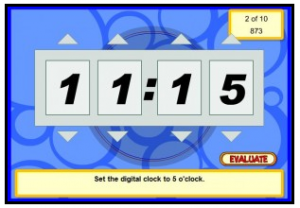 In this game you need to match the digital time with the time displayed – On Time! 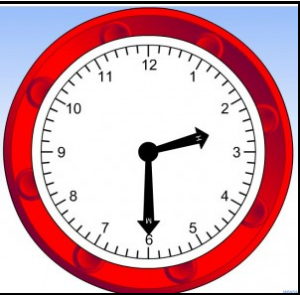 Tell us about your favourite time of day and what you do then. 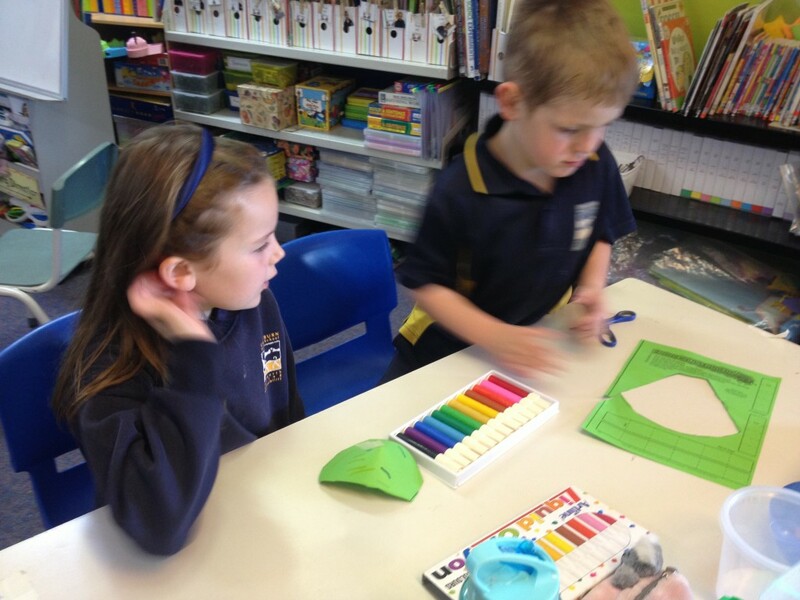 Can you list some time words we begun to focus on? 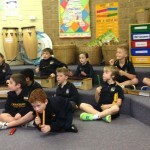 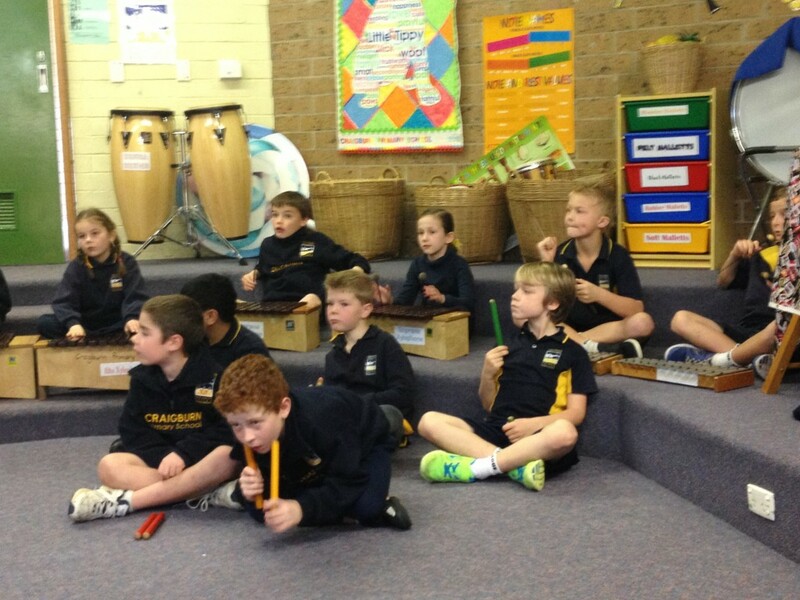 In today’s Music lesson with Mrs Rayner our class learned a new musical item. 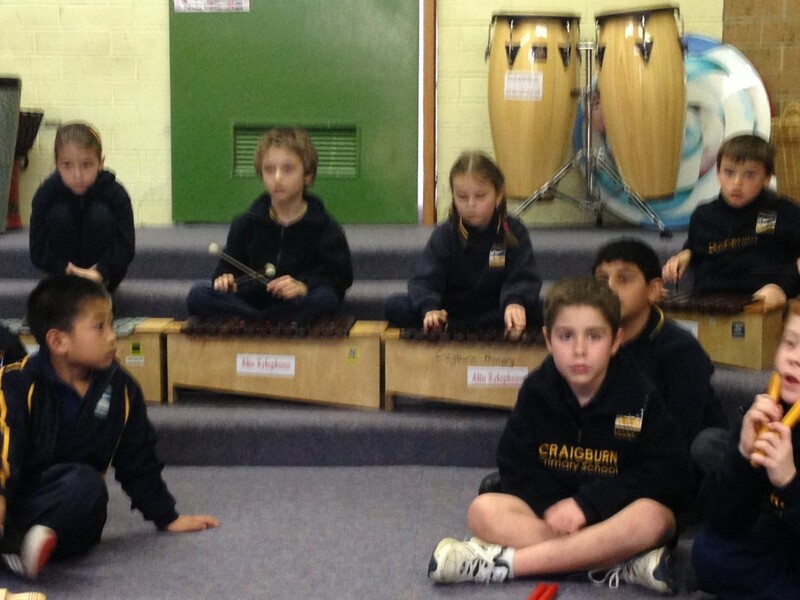 We had students using tuned percussion instruments, like bass metallophones, bass xylophones, xylophones and glockenspiels and unpercussion instruments, like claves and guiros. 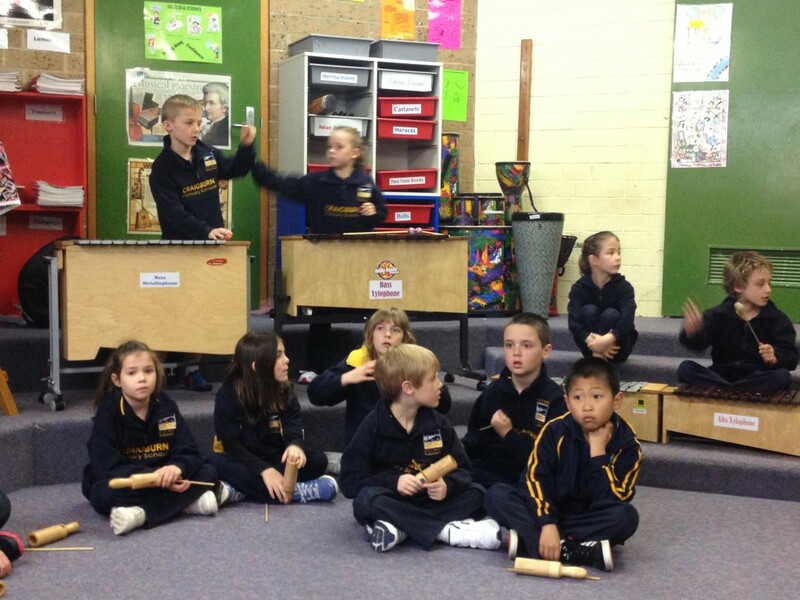 This lesson was a part of our wonderful Music programme and will be a part of Mrs Rayner’s ORFF Schulwerk teacher training day this weekend. 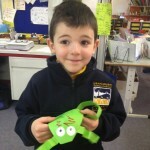 We’d love to hear what you think of our item?